After couple of years break, which is due to unhappy incident of electric shortcurt which caused my critters to die, I've just started my 4g pico tank. 4 days ago, with pressure of my kid, went to a LFS and got some zoas and conches. After introduction of the zoas (I havent acclimated them, but did not before and survived in the past) and critters I did not pick up the dead fish till today. Lid open, trying to agitate some surface oxygen. So, my Zoas are not opening except the day one. Conches are not happy, but alive. any one have a recommendation? If you just took out the dead fish you probably have high ammonia and nitrites. 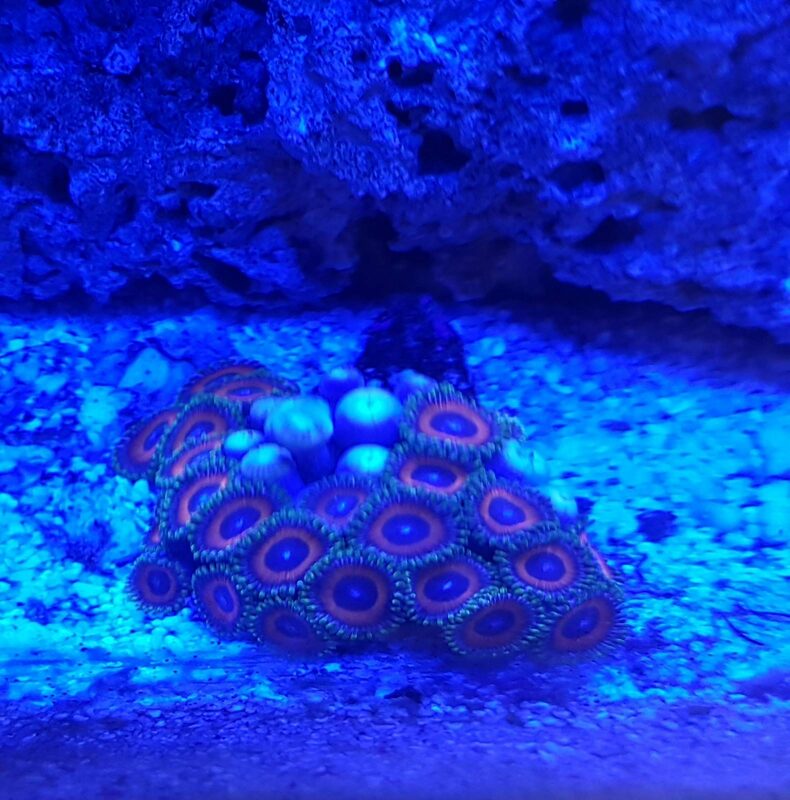 Also sometimes zoas take a few days to settle in. Check ammonia and nitrite levels and do a big water change (should always wait till ammonia and nitrites are 0 before adding livestock, and do a large water change to reduce nitrates). The picture doesn't look like dry rock, it has coralline on it. Very odd to have 0 ammonia with a dead fish in the tank. What test kit are you using? The coralline on the rock is not actually on the rock. 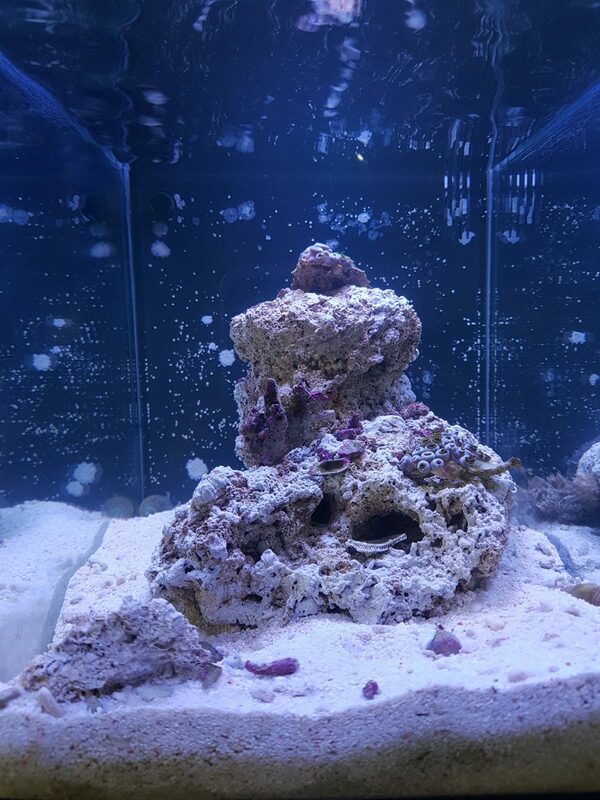 I have collected some small fractures of rock with coralline on it from LFS and spread it on the tank. You might be right about the test kit, so I ordered another test kit just to confirm if it is really zero. So do you believe it's not the nitrate nor pH,dkH but possible ammonia? Ph fluctuates all day long and is effected by photosynthesis. I believe if there is ammonia, definitely a cause and nitrates too. Unfortunately, that size tank and the newness of it isn't appropriate for conches. What would be your recommendation as an action plan? I have cleaned the filter media, which was filthy enough to cause problems. I will check nitrates today again. I didn't know they even had test kits. Until you know if there is ammonia or not, I'd test the nitrate and go from there. Feed food sparingly so there is something for the conches. do you have something in your mind which conches might prefer as per food? some omnivore flakes maybe? It revealed that my Ammonia test of JBL has expired, therefore not resulting properly. The new Tetra ammonia test shows at least 3 ppm Ammonia is present. I have taken out all creatures in newly prepared water, they are all sitting in a jar. I removed all the creatures in the tank and transffered in the jar and then to the LFS. They will be keeping eye on them till my tank stabilizes with the water chemistry. How long should I wait? Shall I do any WC? Let it cycle. No waterchanges during this time if there is no livestock in there. Your ammonia needs to be 0 and stay at 0 before anything is added. Good on you for doing the right thing for the livestock. As clown says, just let the tank cycle. You want ammonia and nitrites at 0 and staying there before adding anything. The coralline on the r﻿ock is not a﻿﻿ctually on the rock﻿. 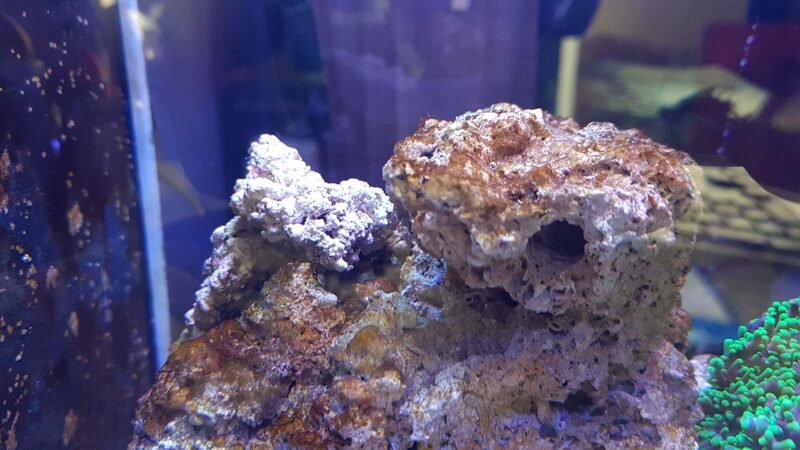 I have collected some small fractures of rock with coralline on it from LFS and spread it on the tank. You might be right about the test kit, so I orde﻿red another test kit just to confirm if it is real﻿ly zero. So do you believe it's not the nitrate nor ﻿pH,dkH but possible ammonia? Glad you figured out the problem... no worries you can test and do it right now. Go slow, your tank is small, conches may not survive long term, perhaps the LFS will let you trade them for a different snail when you finish cycling. A big snail like that dying in a small tank can be a problem too. Plan for little fish and little snails. 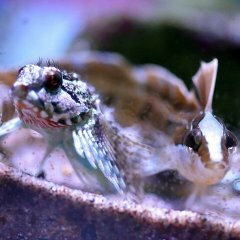 I highly recommend green banded gobies when your tank is ready. They are tiny but have HUGE personalities, they will be "in your face" type fish hopping around and begging for food, out and active. You could add biospira to help. For fastest cycle- using liverock is the way to go and if its cured, it usually has no cycle. My dry rock took took longer than 4 weeks.. I think at least 6? I didn't add any bottled bacteria though. Same here. My 10g was cycled with dry rock and 1 small piece of LR, took 6 weeks. My 15g was started with liverock, took 7 days. I see a diatom blossom despite the ammonia levels are at 5 mg/l. I used to have the diatom after the cycle, it is interesting to see such a thing. I know that due dead fish I initially left in the tank has been decomposed and when I try to pick it went apart and distributed in the tank. So I assume the nitrates are coming out of this leftovers. I plan on doing a 90% WC ,with some siphoning. Do 100% waterchange and definitely siphon any left over decomposing fish and even the sand. Hi, Thanks for all your support. Recently I have followed up the advices given by @Clown79 . 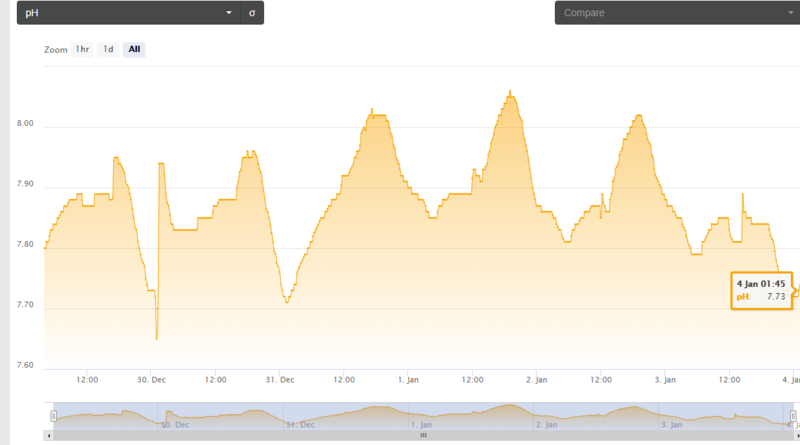 My nitrates went down to 10ppm and steady for a while. 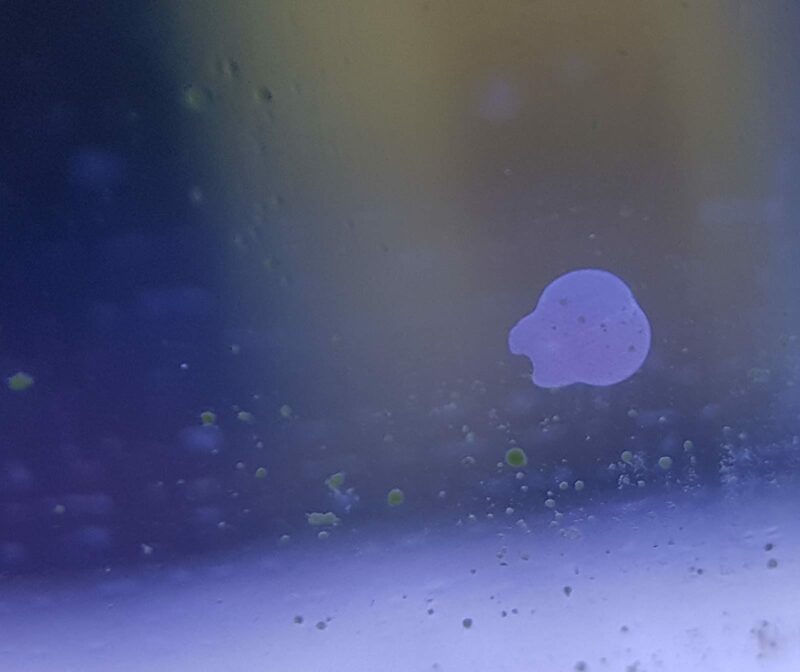 So I received back my live stock from LFS and added. Zoas doing generally fine but some of them do not open up. Got this white - funny worm on glass? I will make 3 days light of session with H202 dosing. but I have waited for 2 weeks, it was getting worse day by day as the lights are on, last week did a 3 days of with peroxide of 1 ml, eased a lot. did very small amount of granules like 3-4 pcs once 3 days last week. Only yesterday fed my zoas with Hikari Coralife Delite. But the issue is long for 2-3 weeks. Just saw my nitrate peaked today to 50ppm.